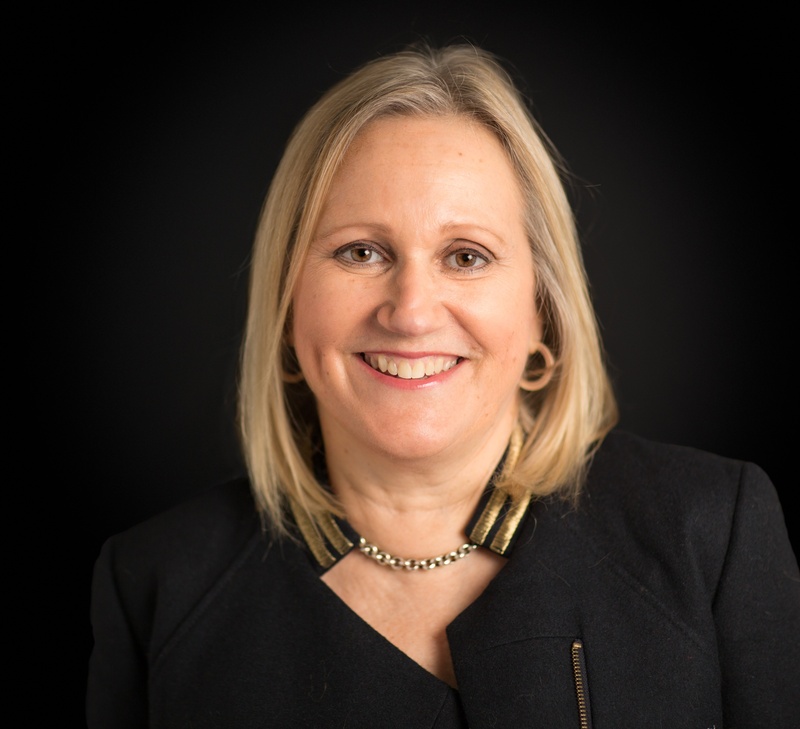 Today we are joined on the blog by good friend of the Write Romantics, the very talented and totally lovely, Jane Lythell. Jane’s guest post explores the ways in which her new novel mirrors the challenge so many women face in balancing their work and home lives. Over to you Jane. On the dust jacket of my new novel Woman of the Hour it says: Meet Liz Lyon: respected TV producer, stressed-out executive, guilty single mother… Woman of the Hour. This sums up the dilemma of my central character very well. I was keen that in this, my third novel, I would put the focus on a working mum who has a high pressure job as a TV producer and a stroppy teenage daughter at home. My heroine Liz Lyon is 41 years old and divorced; her daughter Flo is 14. Liz took on a big mortgage so that she and Flo could have a decent home. She is stressed by the demands of her job but she needs the TV salary to pay her mortgage. She calls this ‘golden handcuffs’, being paid so much that you feel you can’t leave your job. Liz is in charge of the feature output of StoryWorld TV station which puts out a daily live morning show. It is her job to manage and soothe the huge egos at the station. There’s Fizzy Wentworth the star presenter, Gerry Melrose the astrologer, Ledley the Chef and Betty the Agony Aunt. There is also Liz’s team of researchers and a power-crazed boss called Julius Jones. A television station often has a feverish atmosphere and even more so when the shows are live. Live TV is more dangerous than pre-recorded because things can go wrong. When it does go wrong presenters have to cope under pressure, there’s a surge of adrenalin and feelings run high. I try to capture this in a number of scenes in Woman of the Hour from the moment when a guest won’t come out of Make-Up because her hair looks awful, to the scene where a prominent politician tears off his mic and storms out of the TV station. Liz is left to pick up the pieces and has to be the calm sensible one who sorts out the problems. When Liz gets home she has to deal with her daughter Flo who she loves deeply but who is doing that teenage thing of pulling away from her mum. Liz often can’t say what she means when she’s at work but when she gets home she can let her out her emotions, and she does. She’s sometimes like a pressure cooker ready to blow. She worries that she’s a better mother to her team at work than she is to her daughter Flo who presses all her buttons. Why did my rows with Flo escalate so fast? Why was I able to control my anger at work but not at home? I felt a failure as a parent and I wanted to call Ben (her ex-husband) and tell him that he didn’t know what he was missing. Liz feels a lot of guilt about the length of time she spends at work. She knows she should put Flo first but all too often the demands of work take precedence. When Janis first came to work for me she told me a story that has stayed with me. It was a hot afternoon and after she had picked Flo up from school she took her to Primrose Hill to find a breeze and to eat sandwiches on the grass. They had walked to the top of the hill where there is this panoramic view of London spread out below with all its buildings, cranes and spires. Flo pointed to the view and said: ‘That’s London and my mummy works there.’ It makes me sad when I think of Flo saying that. She was missing me and she probably wished she had a stay-at-home mum who would pick her up from school every day. When Liz gets home she often cooks to help her decompress from the stresses of work. At the end of the book I’ve included three recipes called: Comfort Recipes for the Stressed Out. I do think that many of us find comfort in cooking after a particularly bad day at the office! 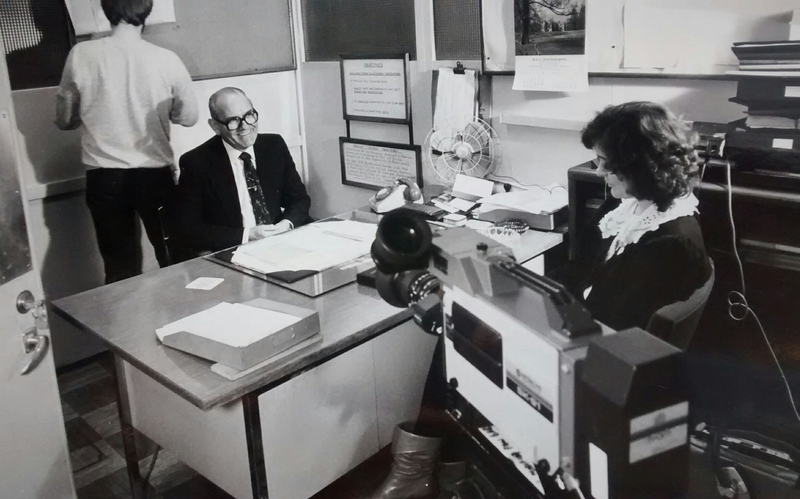 I worked in television for 15 years, first at TV-am and later at WestCountry Television doing live TV. On Good Morning Britain I was one of the people who booked the guests for Anne Diamond to interview and I’d write the briefs for her. The hours were long and unpredictable and this made it difficult for me as a lone parent. I left my career in television when my daughter was nine years old. Many books depict the emotional and family lives of women. I’ve seen much less fiction about a woman struggling with the pressures of work. Yet that had been my life. A working mother, trying to keep all the balls up in the air and feeling conflicted about competing pressures and I wanted to explore that in Woman of the Hour. 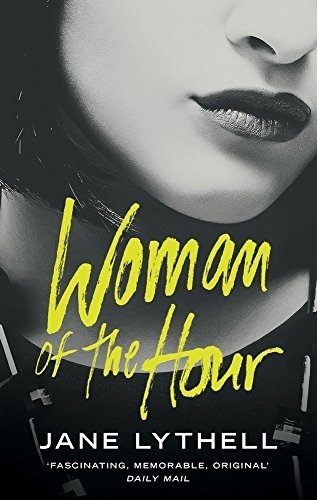 I’ve loved both of Jane Lythell’s other books – The Lie of You and After the Storm – but I think she hits new heights with ‘Woman of the Hour’. This is a departure from the tense psychological storylines in her first two books, to more of a women’s fiction feel – although my husband is reading the book now, and loving it too, and there are still plenty of deeper themes around the complexity of family and working relationships. I really liked the first person writing in this novel and it was as if I was living Liz’s experiences with her. Sharing her ups and downs, anxieties and frustrations, particularly at the treatment she received from some of her colleagues at StoryWorld and the huge egos battling it out at times! It is obvious that the author has researched this book by living some of the experiences and the writing is all the more authentic and engaging for that reason. There are a wealth of wonderful characters in the StoryWorld setting, many of whom could warrant their own novel, so I’m really glad to hear that there is more to come from this series. There are clever sub plots weaved into the story, but Liz’s life is undoubtedly the main focus. As a working mum myself – familiar with the constant guilt trip that accompanies it – I loved the way the book moved between Liz’s working life and her interactions with her teenage daughter Flo. Again, the authenticity with which the scenes between mother and daughter were written, had me hooked. There are moments to make you laugh, bring a lump to your throat and even to make your mouth water! The comfort food recipes at the end were a lovely touch too. As I said at the outset, I think Jane Lythell is a fabulous author and once again her novel, as with the other two, had me reading into the early hours. This is her best yet, though, and I’m already waiting impatiently for the next in the series. 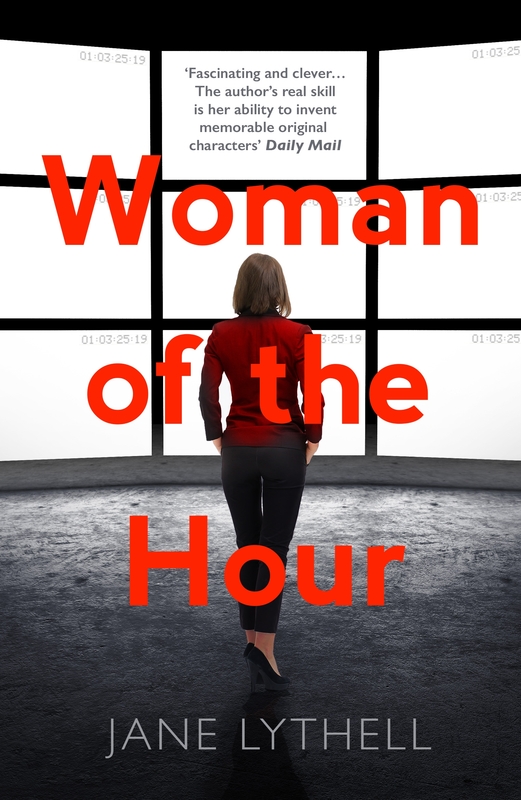 You can download Woman of the Hour, and Jane’s other books, from Amazon and they are also available in all good bookshops. We are delighted to welcome back Carol Cooper, a long-time friend of the blog, to tell us all about how she decided on the setting for her second book. Carol is a doctor, journalist, and novelist. She writes for The Sun newspaper and teaches medical students at Imperial College. 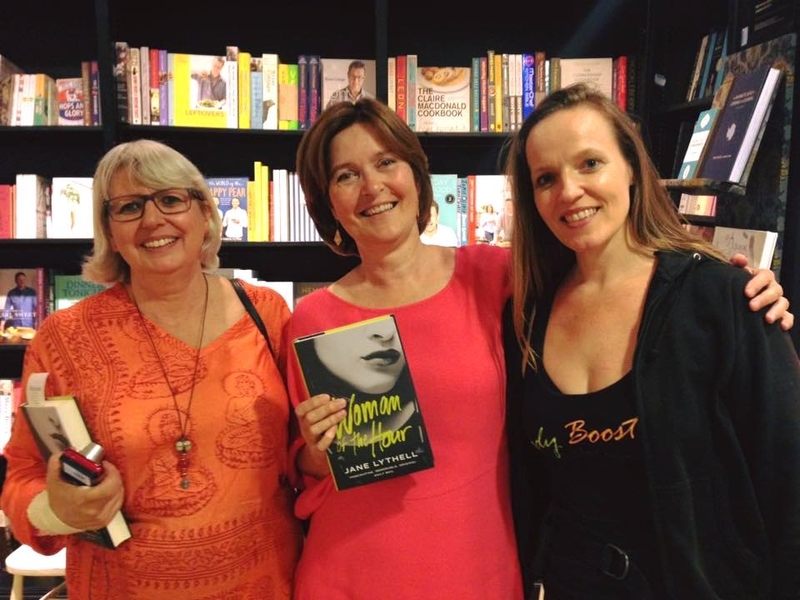 After a string of trade-published non-fiction books and an award-winning medical text, she chose self-publishing for her fiction debut One Night at the Jacaranda. Her latest novel, Hampstead Fever, is out in June. Her novels are all about Londoners looking for love, and they’re laced with inside medical knowledge. Like her fictional characters, Carol lives in leafy Hampstead, North London. Unlike them, she got married again in 2013. She loves a happy ending. Why did I set Hampstead Fever in Hampstead? Some fiction writers like to invent entire locations, but it’s not for me. I prefer to deploy my imagination on characters and plot rather than geography. It seems an unnecessary headache to make up a whole town. Besides, there’s always the risk that the street map in the author’s head is physically impossible. Real places already have meaning for readers. Think of Liz Fenwick’s Cornish romances, or Glynis Smy’s choice of East London as the setting for Ripper, My Love. In case you didn’t know, Hampstead is one of the most charming parts of London, and, logically, I also chose it for the title of my novel Hampstead Fever. The area is beautiful, trendy, and has a rich cultural heritage, although, on a Monday morning when Camden Council arrives to empty the bins in my street, you’d be forgiven for missing all of that. On bin day, a queue of irate drivers builds up, many of them turning the air blue because they can’t drop off their little darlings at school without walking a few extra yards. The area is full of character, but it’s not edgy. Neither are my characters in Hampstead Fever. If you want edgy, you’d be better off reading Irvine Welsh or Chuck Palahniuk. The people in my books have relatable problems, and Hampstead means different things to each one of them. For Harriet, the area is aspirational. She is a freelance journalist who finds it increasingly hard to pay her bills. Commissioning editors for the magazines she writes for don’t want well thought out features. They prefer pieces like “What’s My Bottom Line?” (the topic is literally pants). Harriet does her best but is overawed by all the successful authors and journalists in London NW3. At 40, Laure is a first-time mum who panics every time her toddler develops a new symptom. Her partner works long hours and there’s no extended family, so Laure’s parenting guidance comes from books and the uber-competitive mothers at toddler group. Alas, Laure is so wound up in her child that she has little time to spare for her partner. I think many readers will identify with single mum Karen. Her style is the opposite of helicoptering. I call it submarine parenting. She has four children ranging in age from six to 12 and is facing an early menopause, so energy is at a premium. No wonder Karen lacks the enthusiasm for a suitable relationship. There are plenty of men in Hampstead Fever too, like Geoff who’s a doctor, and Sanjay who works as a fundraiser. Laure’s partner Dan is now an up-and-coming chef at a new restaurant in the heart of Hampstead Village. It’s the perfect place for a trendy bistro, but Dan complains he’s not paid enough, so, rather than use one of the existing restaurants as a setting, it seemed fairer to make up a new one. But I sited it in Flask Walk, a very real street. A plus is that I live in Hampstead. Researching a location involves little more than a brisk walk, unlike, say, a writer in the UK who chose Venice as her setting. I wanted my new author photo to fit in with the locale, but as I discovered you can’t always take one when and where you want. Hampstead Heath proved a little windy and wet on the day, which wouldn’t have been right for a book set in mid-summer. My photographer got me to pose in the street near the Freud Museum. While the connotations may be a little heavy for my brand of contemporary fiction, the building is attractive. Alas, I hadn’t bargained on the crowds of people arriving to pay homage to the father of psycho-analysis. The Freud Museum doesn’t open till noon, so they were outside, waiting to be shown in to worship at the great man’s couch (yes, it’s still there in his study). One of the prospective visitors had even brought a suitcase, so there he was, on the pavement with his baggage. Now that would have been a great picture. 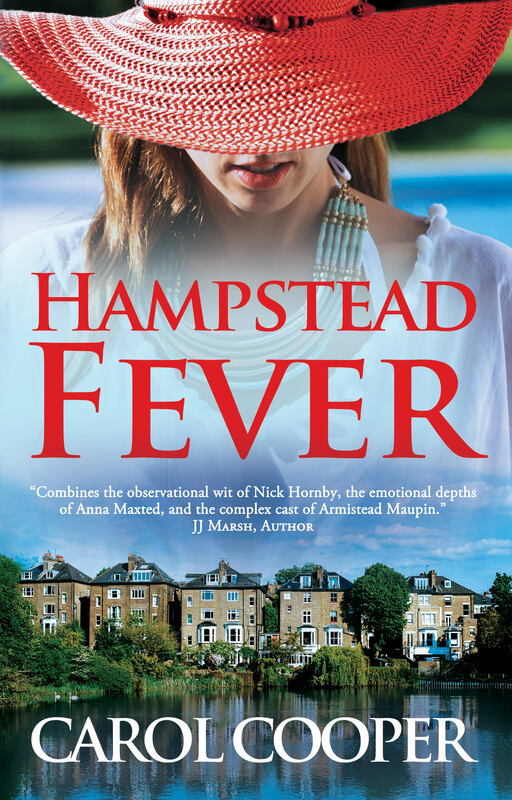 Hampstead Fever was released on June 30 and available on ebook platforms and in bookshops.